ItemE-02656 - "Fuller's Lake and reservoir near Chemainus." ItemE-02594 - Coal bunkers at the Ladysmith wharf. ItemE-02540 - Living room of Harold Eustace Whyte's home; Richardson Street, Victoria. ItemG-00759 - Totem poles and lodges; location unidentified. ItemF-09939 - The Legislative Library near completion, Victoria. ItemF-00417 - Point Ellice House; the Peter O'Reilly home; Victoria. 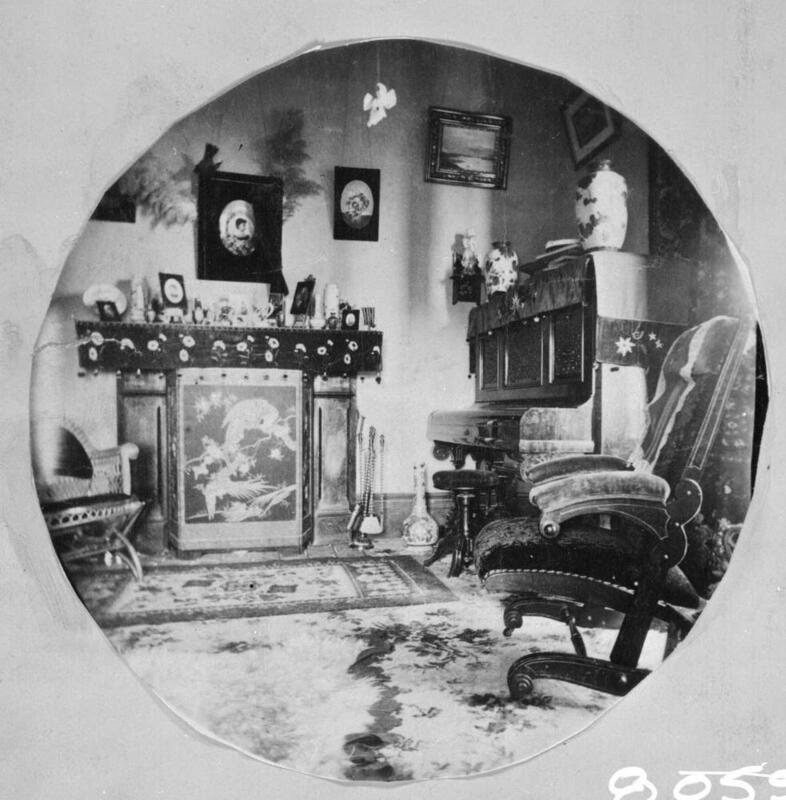 Item E-02540 - Living room of Harold Eustace Whyte's home; Richardson Street, Victoria. Living room of Harold Eustace Whyte's home; Richardson Street, Victoria.